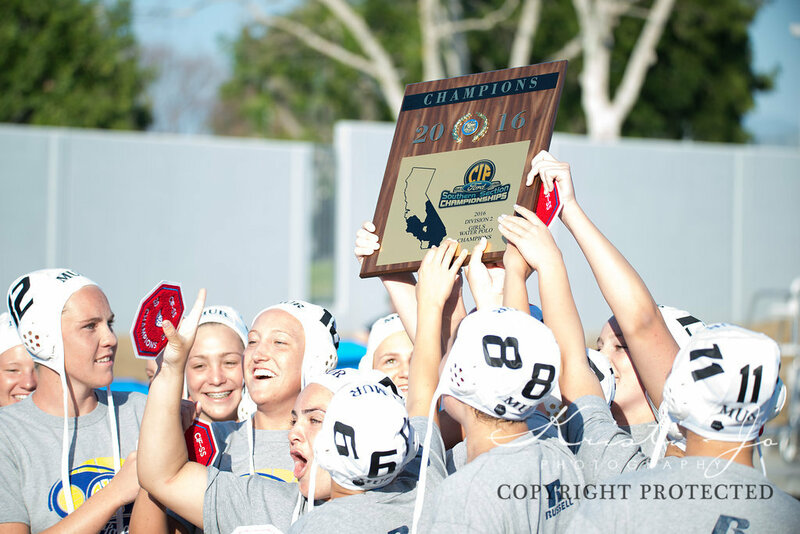 Murrieta Valley High School girls water polo players hold the championship plaque aloft after Saturday's win. 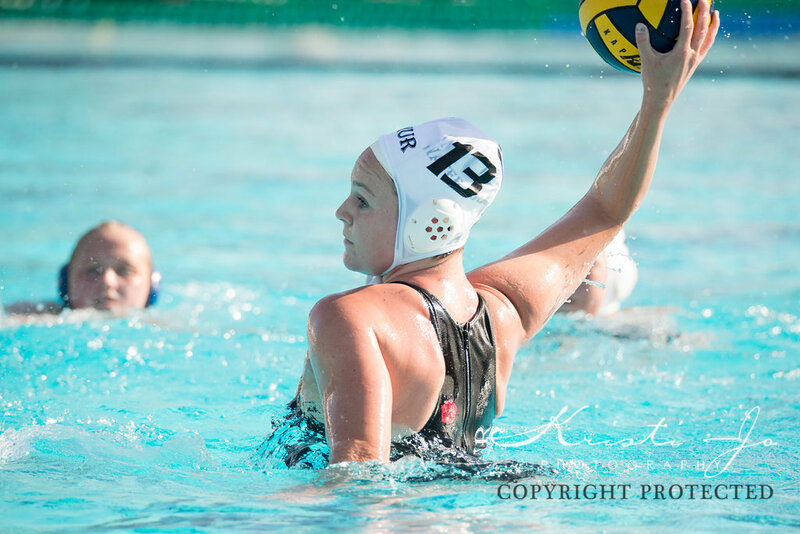 Delayne Lynton scored five goals, including the game winner in overtime, as the Murrieta Valley High School girls water polo team beat El Toro 10-8 in overtime Saturday to win the CIF-SS Division 2 championship. The victory at Woollett Aquatics Center in Irvine gave the Nighthawks their fifth CIF championship. Coach Bryan Lynton, who also coached the boys water polo team to a title last fall, has won seven CIF titles overall. Senior attackers Lynton and Tara Prentice scored in the final minute of overtime to break an 8-8 tie and send the Nighthawks to victory. Goalkeeper Morgan Jones made several key saves. Senior attacker Delayne Lynton scored five goals, including the game winner, in Saturday's game. Nighthawks goalkeeper Morgan Jones makes a save as teammates Gabi Ritter (5) and Christina Reyes (8) move in. 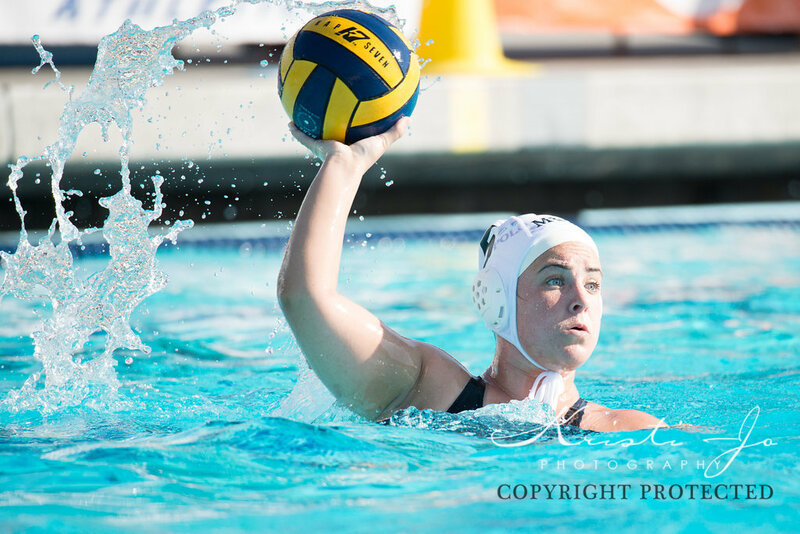 Senior attacker Tara Prentice sets up to take a shot during the CIF-SS Division 2 championship game. 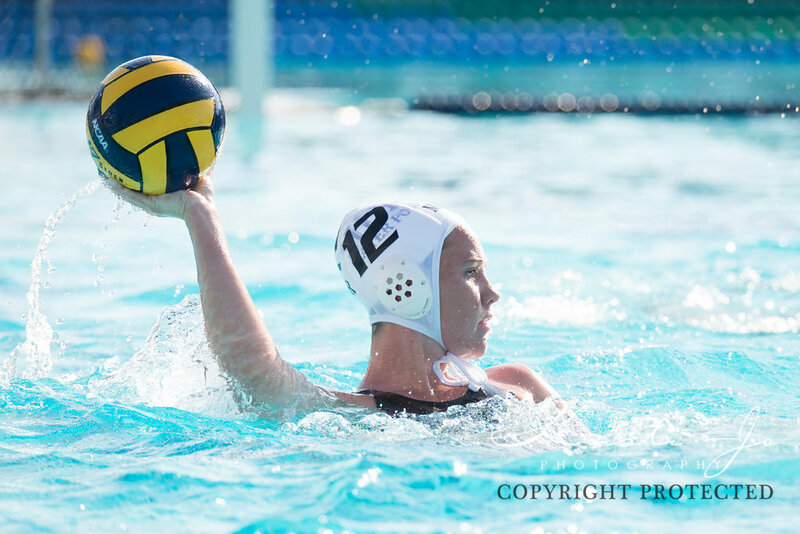 Gabi Ritter looks for an opportunity during the championship game. As the seconds wind down, coach Bryan Lynton and his players get ready to jump into the pool and celebrate.